In the latest “Makers” series on his blog, Brian asks the question: how custom is your custom bicycle? 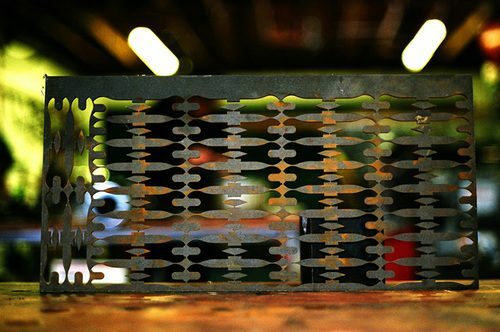 Knowing good and well that investment cast and cnc machined bits find their place on just about every frame, seeing a sheet of “scrap” water jet cut steel, all oxidized and aged, tells a tale of its own. Hunter Cycles, doing their own thing for over 20 years. The first time I saw something like this was at Brooklyn Machine Works, when I first got to see their space.